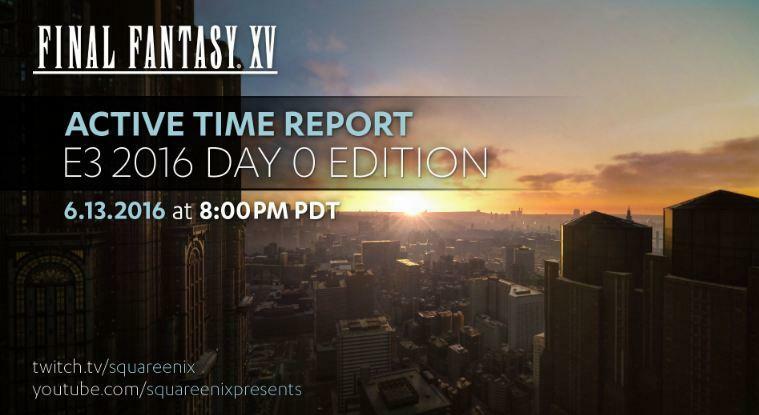 Square Enix have finally revealed the official date of the Final Fantasy XV Active Time Report at E3 show. It will take place on Monday, June 13 and it will be held from 8 PM PST. Such news appeared on Twitter. E3 will be held just after Sony’s E3 2016 briefing, as it starts from 6 PM PST the same day. Final Fantasy XV Active Time Report is supposed to provide newest information about Final Fantasy XV. However, Square Enix hasn’t revealed what particularly game fans might expect from it. 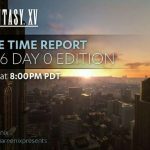 Final Fantasy 15 Active Time Report will be aired online on YouTube and Twitch. The previous Active Time Report was held last week and it gave new information about crashing airships, Versus cards, Chocobos, and even more. Final Fantasy 15 is planned to be released on September 30. Playable demo of the game was made public recently. There are some very interesting reads on how the 2 versions of Final Fantasy XV correlate here and what Square Enix says about game’s technical criticism here. Feature film and an anime prequel are being prepared for the launch also.